The phrase “Man’s best friend” cannot be understated. Dogs were arguable the first animals that humans domesticated, and have proven to be our specie’s most useful and versatile allies. When primitive humans first set out to settle this wild world, dogs were with us every step of the way; fending off predators, helping us hunt, and herding the wide range of animals we would soon come to domesticate. While most people in the modern world don’t keep dogs for any utilitarian purposes, they would quickly prove their worth if the SHTF tomorrow. However, not all dogs would be be suitable in a post collapse society. If you’re on the lookout for a new pet, here are a few dogs that could hold their own if the lights of civilization go out. 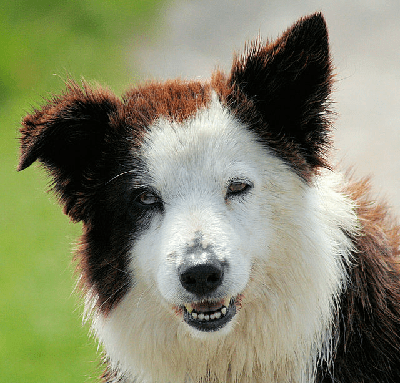 Considered by many animal researchers to be the smartest domesticated dog breed, Border Collies are very adaptable animals. They yearn to learn, and there’s no shortage of tasks you can train them to do. They’re also quite athletic and full of energy. There is only one caveat to owning a Border Collie in a grid down scenario. They need constant stimulation. If they’re cooped up in a small area with nothing to do, their behavior can quickly turn towards destruction (more so than most breeds) as they tear up your walls, furniture, and probably your supplies as well. They may become a constant nuisance if you had to bug-in to a small house or apartment. It may even be considered inhumane to own one if you live in an apartment. For this reason, a Collie would be a good choice if you are already living in a rural area with lots of space. Known as one of the most resilient dog breeds, Husky’s can literally “pull their weight”. As is well known, these dogs were bred for pulling heavy sleds over long distances across the northern tundra. Being bred for those conditions has turned them into very tough dogs. They don’t have any “quit” in them. However they will need to be trained, and require a very strict owner. They can and will push your buttons, and they don’t respect the demands of anyone unless they have a stronger will than themselves. Despite this attitude, if you can successfully rein them in, they will quickly prove themselves to be strong and intelligent dogs. They’re also very light eaters compared to their size; an important consideration for every prepper. Unlike most dogs who will eat to excess, Husky’s will only eat as much they need. However, like Border Collies, they need a lot of attention and open space. This is another breed that should be relegated to the rural areas (and in this case, colder regions). You may be asking yourself at this point “So what is a good prepper dog for an urban area?” Well that’s a pretty tricky question, because all of the factors that make a good survival dog, usually aren’t found in apartment dogs. Working dogs tend to be larger, and have lots of energy. They need constant stimulation or else they’ll become destructive and unruly. You need a dog that is small enough and calm enough to handle a small space, but large enough to keep up with you if bugging-in turns into bugging-out. You need a good watch dog (arguable the most important quality of any dog) that will alert you to intruders, but you don’t want a little a toy dog that is only good at barking. Also watch dogs, like working dogs, need lots of exercise. The kinds of dogs that don’t need exercise tend to be pretty lazy and aloof, which isn’t the attribute you’re looking for in a watch dog. So you need something that is a good compromise between these traits. I’ve found that the best candidate is probably the Miniature Schnauzer. While they’re not exactly working dogs, they do make great watch dogs. They’re also fairly intelligent, trainable and obedient, all traits that will be crucial for a prepper pet, because you want to teach them to discern threats and only alert you when necessary. Otherwise, a dog that barks at absolutely everything will only be good at revealing your position. While the Miniature Schnauzer does need a lot of exercise, they’re a bit more adaptable than most energetic dogs. They’re very family oriented creatures that want to please their owner, more so than their desire to run and play. This means you can give them plenty of walks and trips to the park during good times, but still bug in with them when the situation goes south. And if you end up having to flee the city they’re natural vermin hunters, and probably wont have any problem adapting to a rural area. 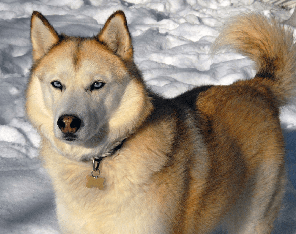 Their fur is well suited to both warm and cold climates, but probably isn’t suited to extreme temperatures like the Husky. 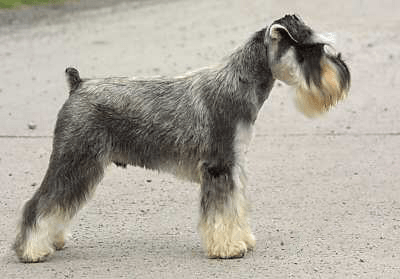 Overall, the Miniature Schnauzer is a small, but very well rounded dog. While they’re not great for some survival situations, they’re good enough for most, and will at least make a good watch dog; which is probably as good as it gets if you need a small prepper dog for your apartment. Despite the media’s relentless condemnation of the Pit Bull, these dogs are capable of gentleness and love towards their families, as well as relentless ferocity towards anything that threatens them. Like any dog, it’s really a matter of training and treatment. They’re quite capable of being great family pets, as opposed to the wild and unpredictable beasts they’re compared to in the news. 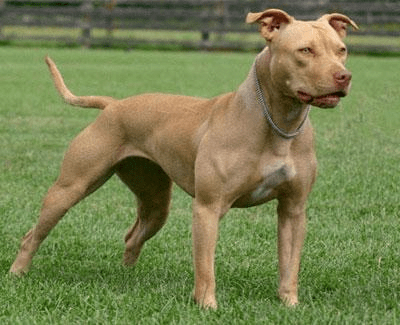 With a lean muscular build, pit bulls are capable of feats of strength that surpass similarly sized dogs. They seem to have a heroic pain threshold, which many owners can attest to. They will literally run themselves to blood and bones for their family (usually as an unintentional side effect of playing, much to the distress of their owners). These physical traits, in addition to their fierce loyalty make them great guard/watch dogs. And no, you don’t need to train them to be ferocious killers for them to be good guard dogs. They seem to have a natural ability to discern threats to their owners and families. In addition to guarding the home, their muscular build made them very popular in the 19th century as rural working dogs, where they were known as the “poor man’s horse”. The only real disadvantage for preppers, is that they are very capable of eating you out of house and home, so make sure you have stored enough food for them, and keep your supplies secure from their reach. Yes, you read that right. The Poodle is a very capable dog. Specifically, the larger “Standard Poodle”. 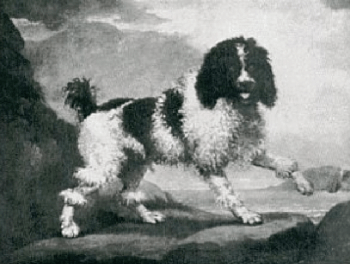 For most of its history, they were prized “gun dogs”, mainly used to hunt fowl. It’s only been in the past hundred years or so, that they’ve been bred for their appearance in dog shows. However, their old instincts haven’t died out. In addition to being great hunting dogs, they’re also among the top 10 most intelligent breeds. They’re very trainable and obedient, and they make great watch dogs. They have fast reflexes and slightly webbed feet that make them better swimmers than most. Overall, poodles are capable of being very rough tumble dogs, and will surely carry their weight if the SHTF. 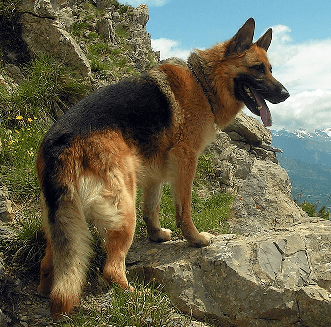 This list wouldn’t be complete without the German Shepard. This is one formidable dog that won’t let you down. There’s a reason why they’ve come dominate the police, military, and search and rescue fields. They top the charts in strength, speed, intelligence, senses, and obedience, and have become the second most popular dog breed in the United States. The number of tasks that these dogs have been trained to do are so numerous that they cannot be contained in a single article. As for temperament, they are fearless dogs who are strictly faithful to their owners and wary of strangers. Their curiosity makes them great at guarding, and they only bark when they think the threat is credible. Training is extremely important with this breed, but well worth the effort, and they can be adapted to just about task you can think of. So if you have the time and space to train them, and can store up enough food to feed them for a long period of time, a German Shepard will probably be the best dog for any survival scenario. They tend to be quiet. Will bark for warning when someone’s a way off and if it’s an immediate possible threat, then they go into a stealth mode and move fast towards it. I’ve been hit too many times in play and they are wrecking balls. They don’t bite for biting sake so a normal attack dog you can bait with an arm and then try and take control. Boxers like to bait you into a move, then dart to a side and blind side you or hit you from behind. They really seem to go for taking you off your feet . God bless the beasties. Only problem is they need tons of exercise even in shtf. Not a breed for everyone. For some too kissy and too cuddly.Not stubborn like some say. They’re really smart and want training to be fun or they change up repetitious training because if you keep asking for the same thing over and over, they think they must be doing something wrong and change what they do in case that’s what you’re looking for. My pit was a very mellow puppy- I really recommend people look for the mellow puppies as they’re soooo much easier to train. Shes a classic pit, very lean. 50 lbs. She doesn’t eat too much and was very very easy to train. She still has a barking problem in the yard and sometimes on leash. I check what shes barking at, then tell her to stop. She listens better around humans than other dogs- which she just really really wants to play with. 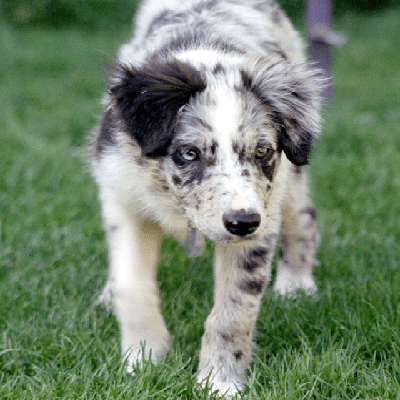 English Shepherd – the settlers dog of choice – general purpise farm dog – many have the same temperament as 100-plus yrs ago. One dog does it all – literally – hunting, strong scenting skills, notices everything, guarding, guardian, herding, watches your back, treeing, babysitter, no leash required, not border collie hyper, alert bark, biddable, easily trainable, eager to assist, can trust to protect & not eat small stock. Strong & very capable breed with fewer health issues than most. WW2 US military dog of choice but numbers were too low. English Sheps understand English. REALLY??? An article about DOGS where they author mis-spells the breed? It is a German S-H-E-P-H-E-R-D. The GSD is a herding dog. They had been used to herd sheep, hence SHEP and HERD. Put it together and you have shepherd. It is NOT “shepard”. My wife and I live on a small farm. We’ve been rescuing dogs for eleven years and have had one of almost every breed come through. I have to say my favorite is the Anatolian Shepherd. By nature they are herding dogs so they do well with sheep and goats. Ours was over a hundred and twenty pounds and thought the farm was his kingdom. He didn’t let anyone or anything on unless I introduced them to him. We had many a coyote and wild hog go around the farm but none ever came on it. The wife adopted him out to a goat farm in west Texas because he bit the propane guy. I told him not to try to pet him but he didn’t listen. He didn’t bleed too much but I’m willing to guess he never put his hand over the fence with any other dogs. Now I have a Great Pyrenees, another great dog but I sure loved that Anatolian. From what I’ve read the Corgi actually makes a decent all around dog. Not super high energy. And I was surprised to read they were used as working dogs on Welsh farms. They herded cattle and protected kids. I’m guessing the protection was from vermin cause to me they don’t seem big enough to beat a determined adult intruder. Although they could probably distract them. On the downside is they can’t take down large game and although I’ve read they have good protective instinct they don’t have the power to fend off a determined adult. Someday I think I would like to get one for my wife. Also for the large powerful breeds you need more food. Although if someone has the space and can provide enough food a big dog could be useful. Or if you can have both a small and large dog. Depending on where you live and what you can provide for them as well as yourself.